In the midst of World War II, James is training for the Royal Air Force, while going home to Yorkshire whenever possible to see his very pregnant wife, Helen. 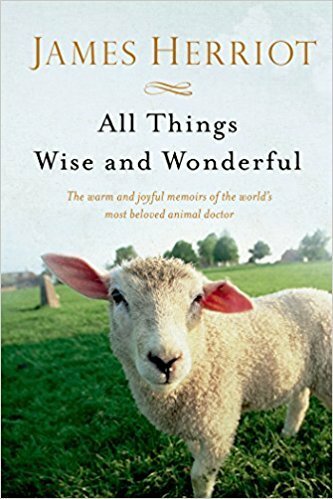 Musing on past adventures through the dales, visiting with old friends, and introducing scores of new and amusing characters―animal and human alike―Herriot enthralls with his uncanny ability to spin a most engaging and heartfelt yarn. This book in the series is not as good as the two before. Mainly because the author kept jumping from his life in Word War II and his previous life as a vet. It had plenty of interesting stories about animals and his experiences in the war. It was very interesting, but I found it to be a bit choppy.